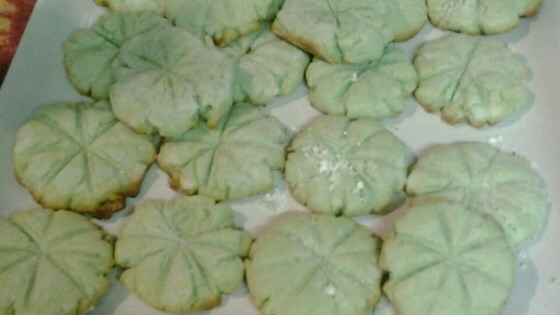 "Uses gelatin to flavor and color this sugar cookie." Mix thoroughly shortening, sugar, gelatin, eggs and vanilla. Blend in dry ingredients. Roll dough into 3/4 inch balls. Place 3 inches apart on ungreased cookie sheet. Flatten each with the bottom of a glass dipped in sugar. Bake for 6 to 8 minutes.